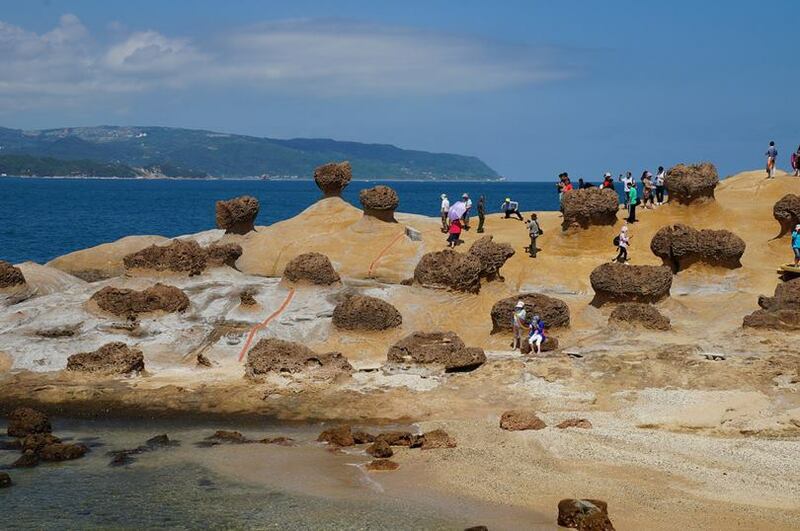 Yehliu Geopark in Wanli, Taiwan, is truly unique because the rock layers near the seashore contain substantial quantities of limestone, which are subject to sea erosion, weathering and earth movements, thus making the 1,700 meter-long peninsula almost lunar-like in many ways. The wild-looking landscape leaves little to the imagination. It’s easy to imagine what life could be like on another planet. 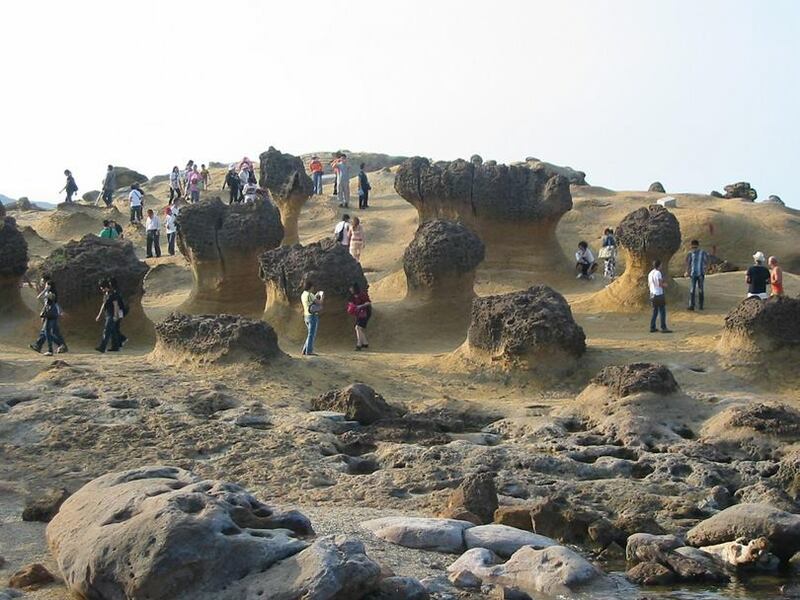 The area is studded with seawater-eroded holes teeming with sea-life, as well as unusual rock formations, which make the surrounding environment rich in ecological resources. 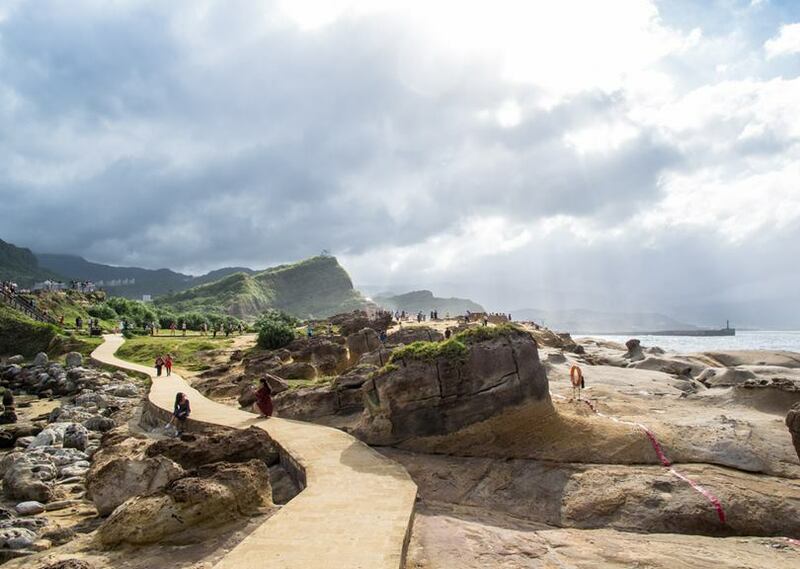 Sun, wind, rain, waves and strong northeastern typhoons all make a major impact on this narrow strip of land. 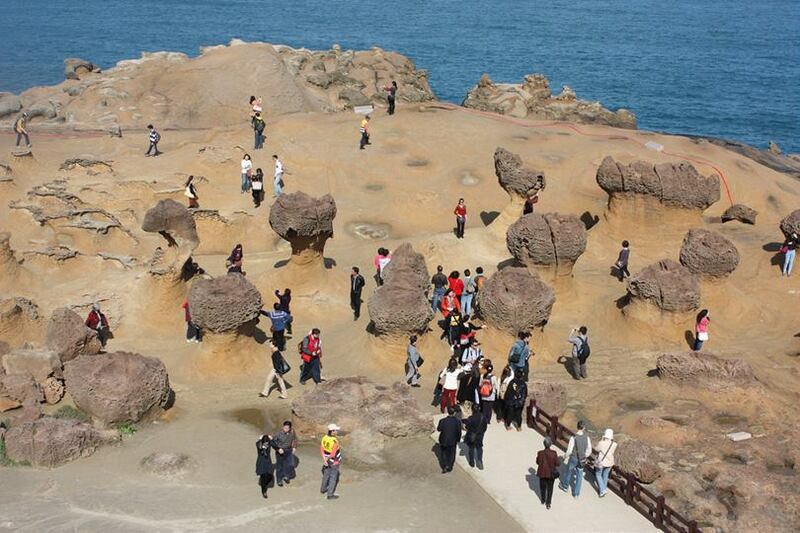 The coastal region of the Yehliu peninsula is mainly made up of sedimentary rocks. 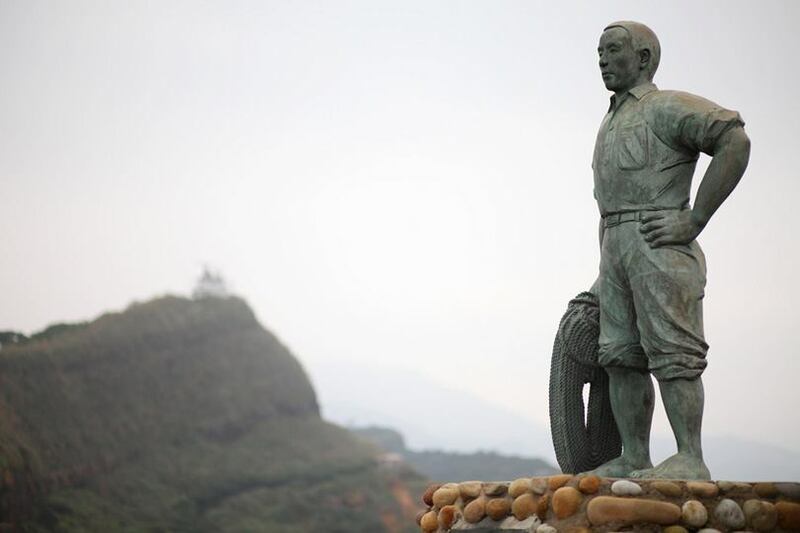 Over time, the constant drumming of the ocean against the shore, erosion from the wind and exposure to the atmosphere, not to mention the remains of crustaceans like sand dollars and sea urchins, has chiseled the land away into all sorts of shapes. 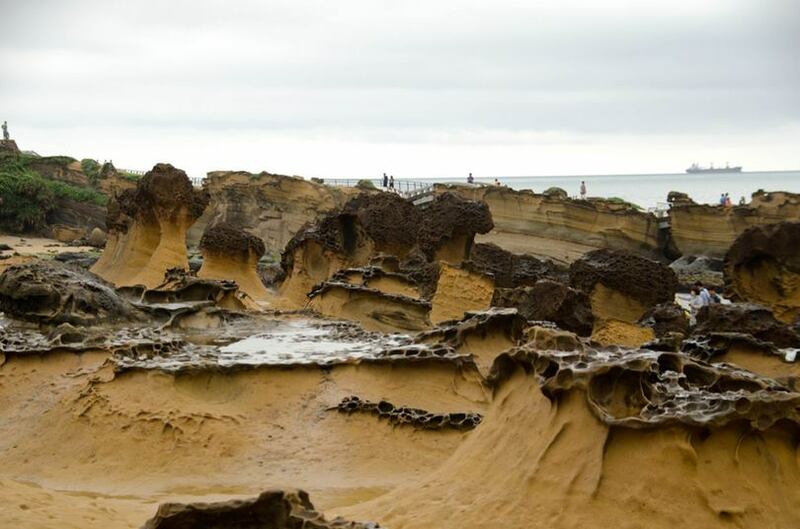 The park's unique formations resemble giant sandals, rows of square boulders neatly poking out of the surf and stones covered in potholes. 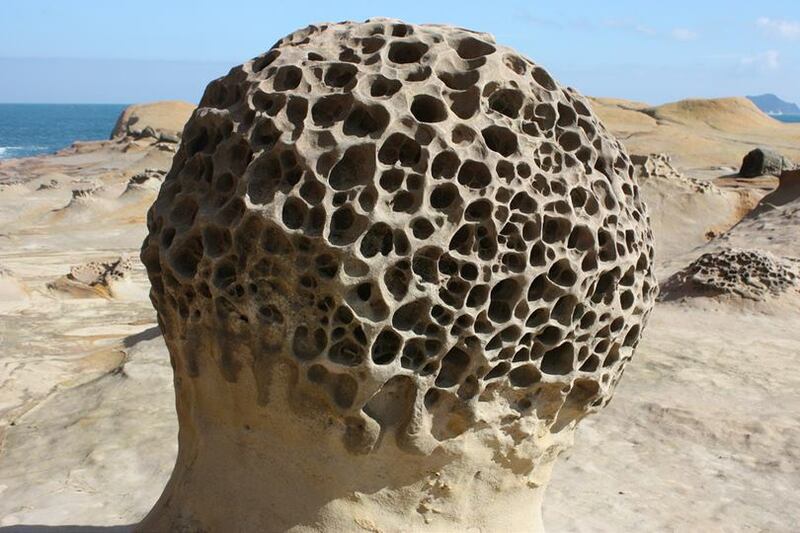 However, perhaps the park's most iconic objects are the mushroom-like pedestal rocks, or “hoodoo rocks,” that dot the landscape. 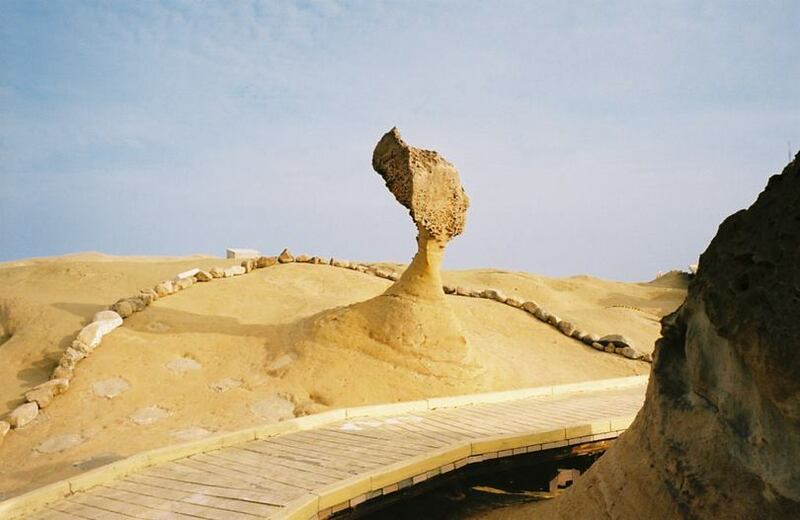 Hoodoo rocks are found all over the world, particularly in high, dry, rocky regions like the North American Badlands and the Colorado Plateau. 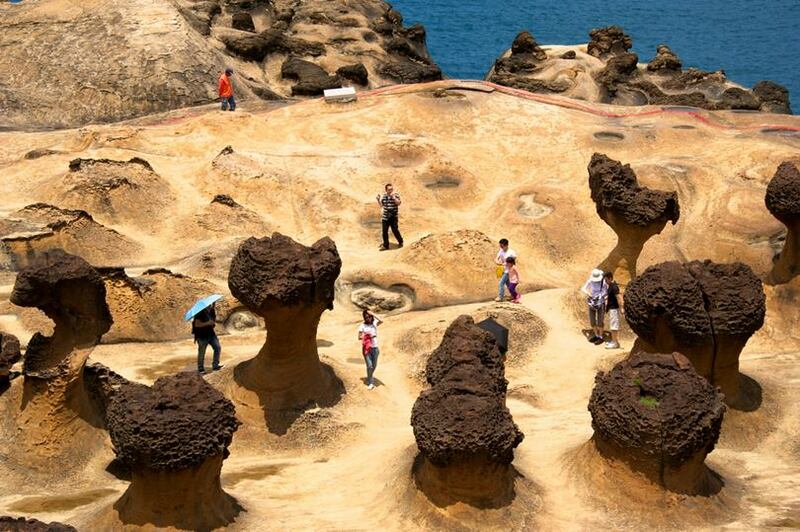 These formations can stretch anywhere from four to five feet to hundreds of feet tall. They are often composed of soft sedimentary stone capped off with harder, less-eroded rock. 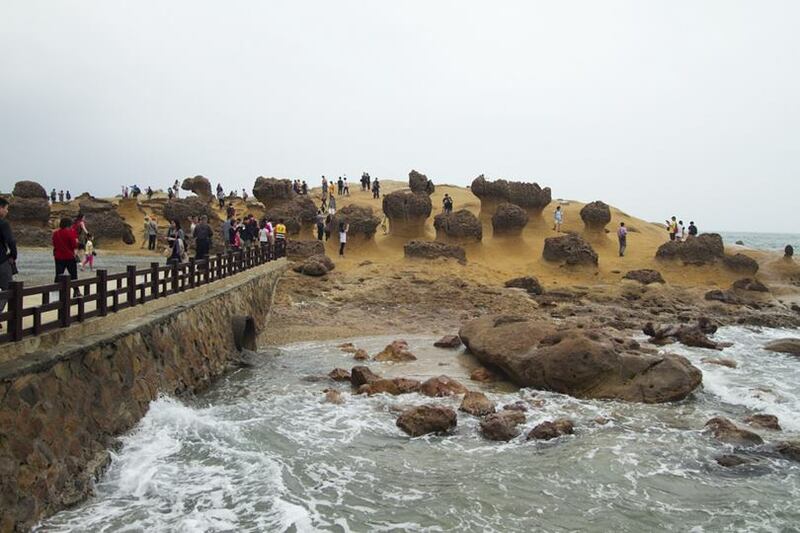 But the rocks at Yehliu are a bit different from most.